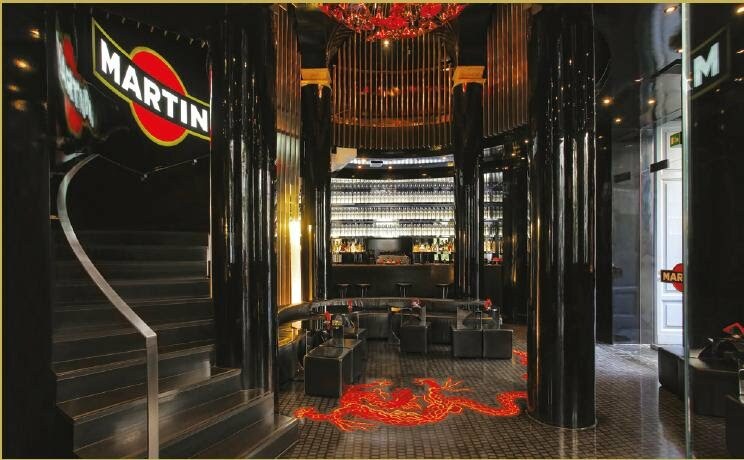 The Bar Martini is the result of the collaboration between Martini and Dolce&Gabbana, two brands that blend Italian tradition and modernity. Crossing the threshold of the Bar Martini means entering another dimension. Guests are welcomed with a “ total black “ look: the only hint of colour is a red dragon rising from the floor of this place of relaxation, jealously guarded within Milan’s flagship Dolce&Gabbana Uomo boutique.